This was a really simple little project that I am very happy with! I plan to hang/display this bunting at the wedding, and will probably use the same technique to make some more! 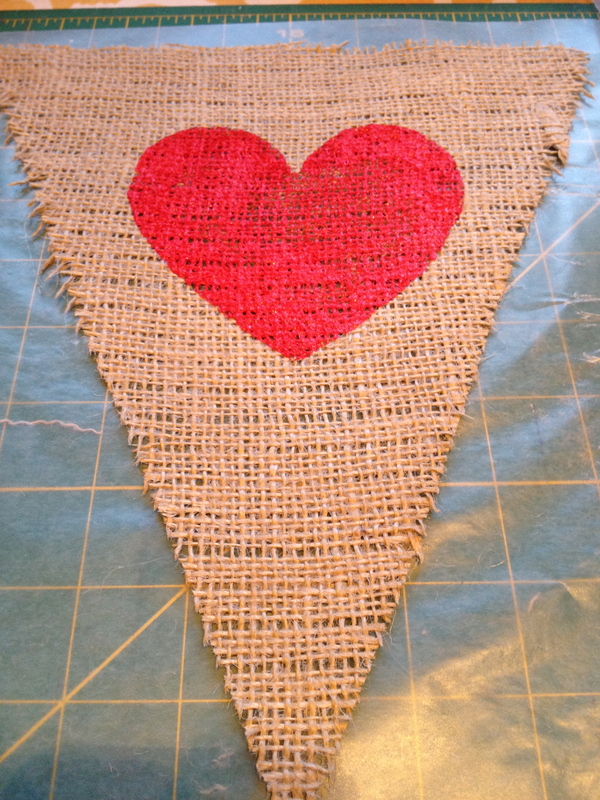 First cut your burlap into triangles of desired size. (I think mine were about 5″ wide & 6.5″ long). I used Mod Podge (my favorite!) & coated each of my triangles. 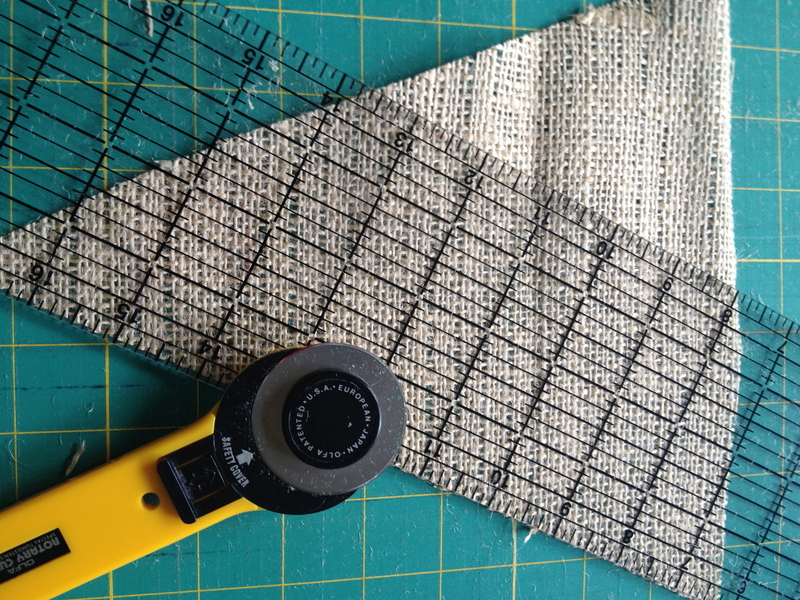 Once dry, this makes the triangles nice & sturdy, and prevents any outrageous fraying. 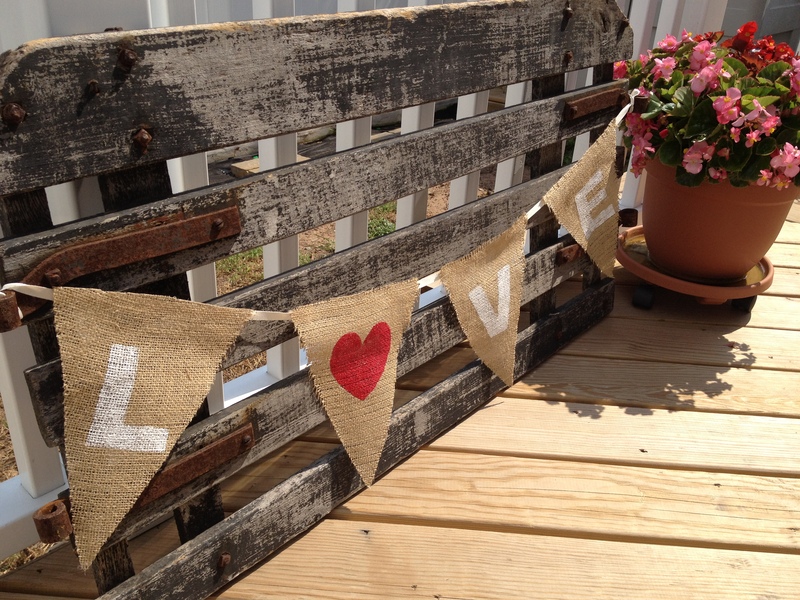 (The fraying on the edges adds to the charm of the burlap, I think. 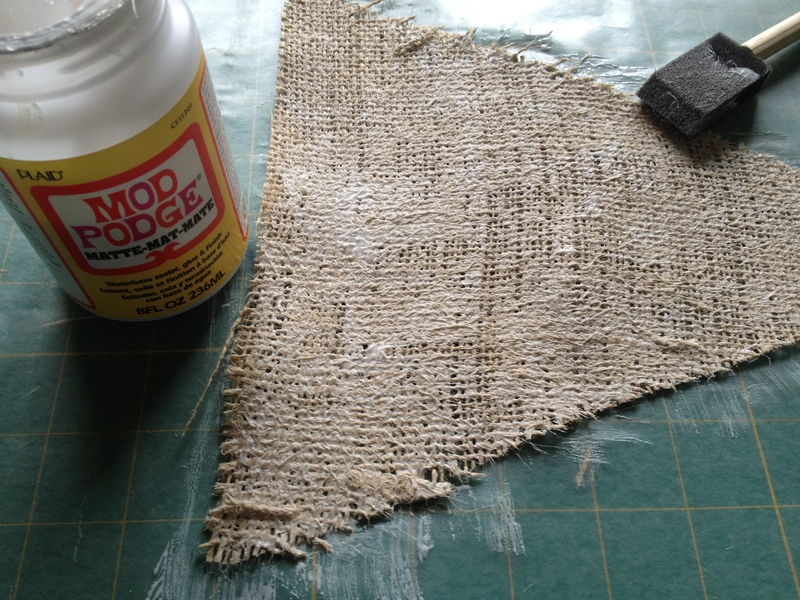 You could also coat your fabric in Mod Podge and THEN cut, which would really cut down on the frayed edges. 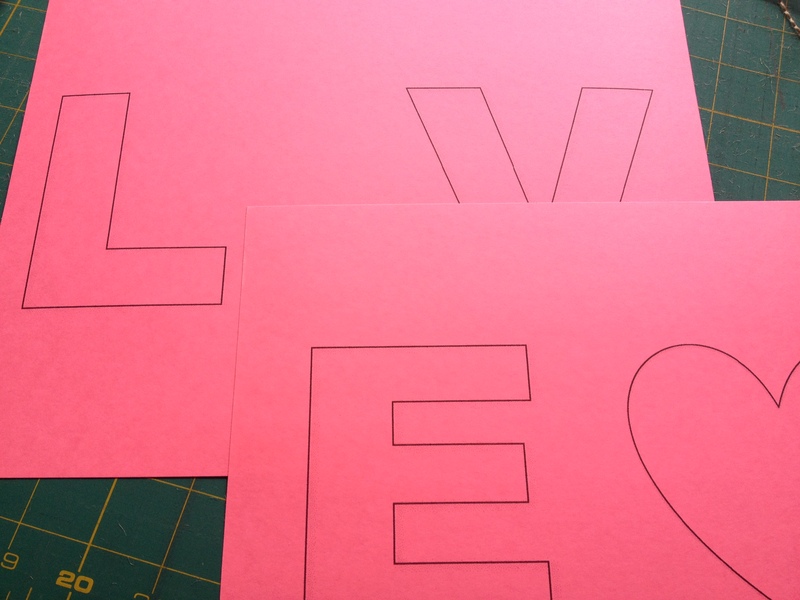 For my stencil, I used Word Art in MS Word to spell out my letters & printed them on some cardstock. 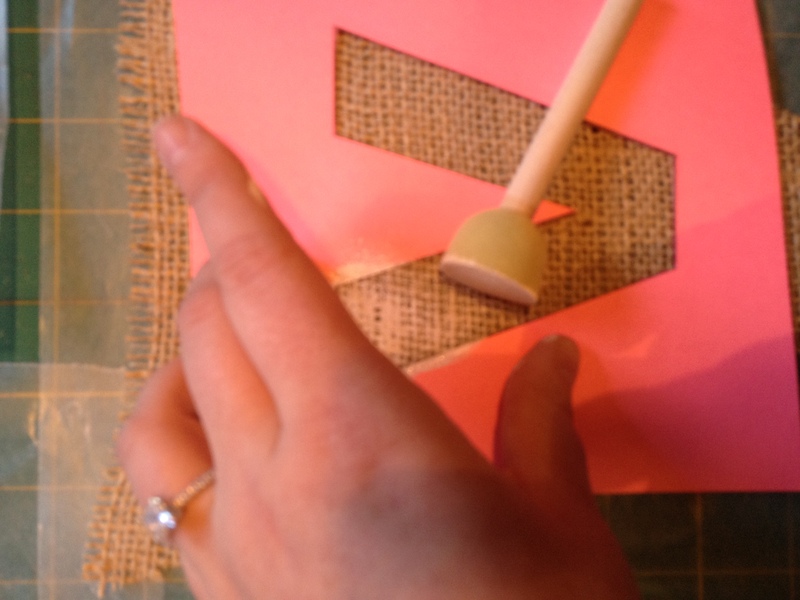 I cut out my stencil & set to work painting onto my triangles. I used a pouncer and white and red craft paint- remembering to be patient and careful, as always when stenciling! 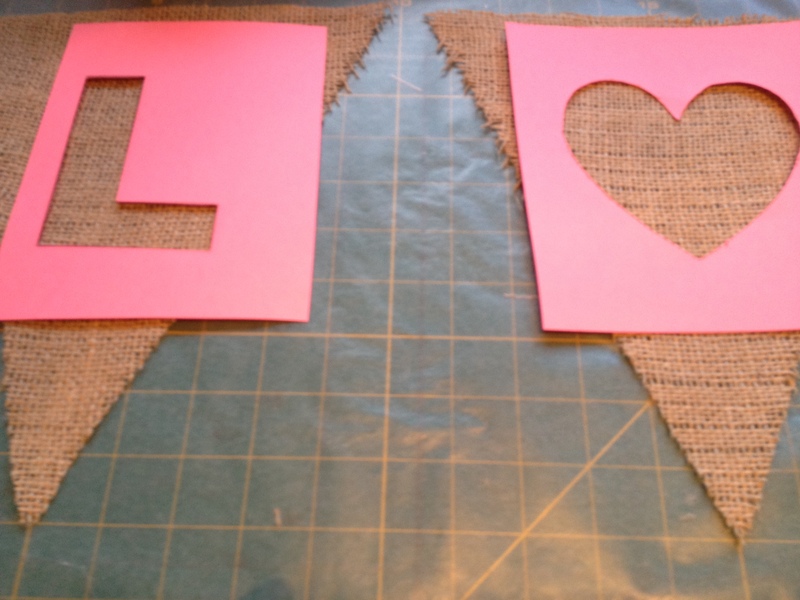 I think the firmness created in the bunting by using the Mod Podge helped make the stencil stand out with nice, clean edges. 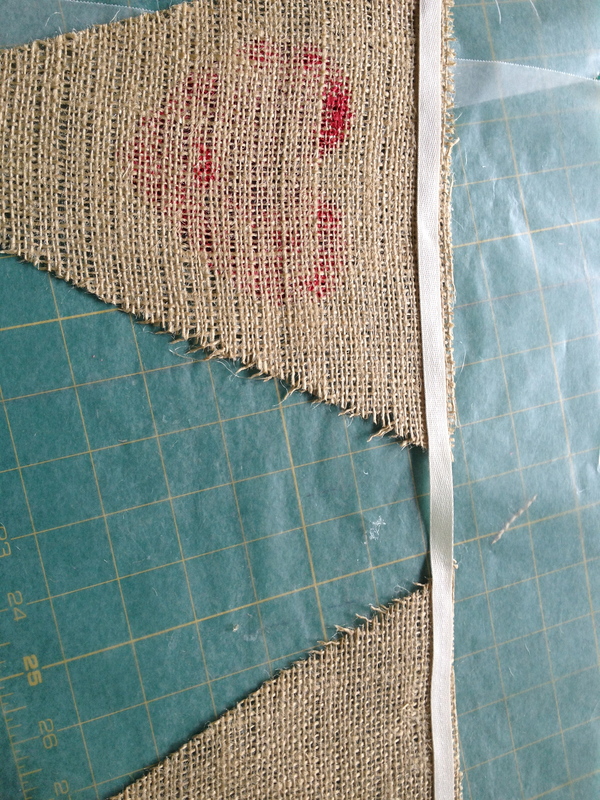 The final step was to attach my ribbon – I used my hot glue gun to attach the ribbon to the back of the bunting! And that’s it! This was very simple, and I can’t wait to make more with different wording! Are you digging that old gate? 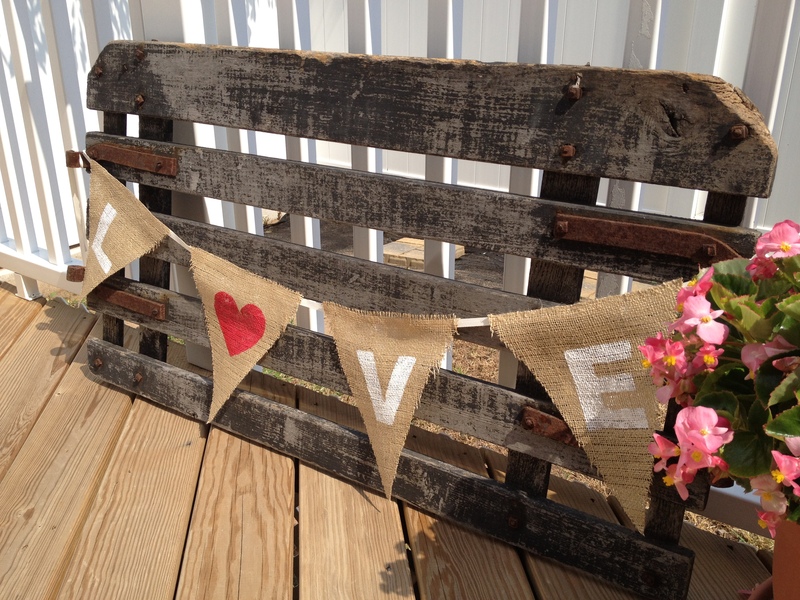 My mother & I found it in an antique shop on Long Beach Island, and I love it! !